The EC-135 from the United States Air Force has been developed to command, control and communicate with nuclear forces. 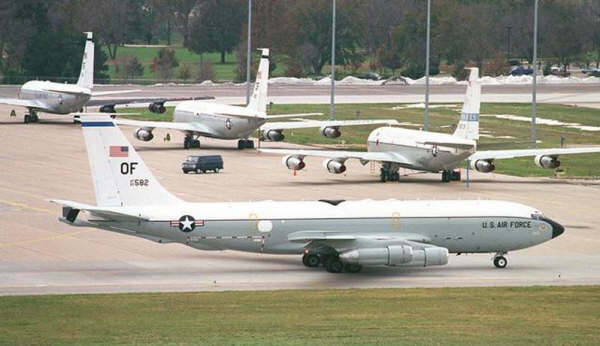 On 3 February 1961 the EC-135 came active under the Strategic Air Command (SAC). 29 years long, 24 hours a day 365 days a year there was always a EC-135 in the air which was directly available to support nuclear forces where only the US President was the commander. These whole is deactivated on 1 June 1992. Now it's called USSTRATCOM. With the same task the aircraft are now 24 hours a alternative command post which can be used by national emergency situation.